So Cal Custom Wheels, your one stop shop for tires, custom wheels, suspension, performance and accessories. With a combined 45 years in the business, our experience team members can help you with the best tire and wheel option for your car, truck, jeep or SUV. Our hours are 9-6 Monday thru Friday and 10-3 Saturdays. Sorry, we are closed on Sundays. We ship from over 60 distribution points across the continental states, allowing us to get your shipment to you faster than most other online companies. We also ship to Hawaii, Puerto Rico, Canada, Europe, South America and the middle east. We offer a 30 day return policy on most orders…see www.socalcustomwheels.com for our complete terms and conditions. We carry Michelin, Nitto, Hankook, Falken, Toyo, Kuhmo, BF Goodrich, Pirelli, Goodyear and more. Plus, when you purchase tire and wheel package from So Cal, we mount and balance them for free!!! That’s right, free. Plus we’ll rotate your tires free no matter if you buy them from us or not. We have custom wheel sizes up to 30” in several finishes from KMC, Niche, Dub, Fuel, TSW, Victor Equipment, Mandrus, Concept One, Vossen, MMR, Rohana, Lorenxo, Lexani, Asanti, Savini, Beyern, Foose, XD, Motegi, Vossen, RBP, BMF, Stance, Rohana, American Racing, Pro Comp, and many more. So Cal Custom Wheels is your leveling and lowering kits headquarters. 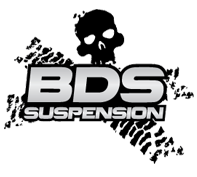 ….we carry the best brands like Eibach, Fabtech, Bilstein, BDS, Pro Comp, H/R, Ground Force, Belltech, Maxtrac, King, Camburg, Rubican, Readylift, Rancho and more. Plus, we offer a full line of shock absorbers. Looking for performance or gas mileage improvements? Air intakes from k/N, Afe, Airaid, AEM….Exhaust systems from Magnaflow, AFE, Corsa, Gibson, and Banks…and computer tuning upgrades from Jet, Edge, Power Chip, Superchips, Hypertech, BullyDog and Banks. If you need some additional interior or exterior accessories, check out our sister company www.signatureptw.com or stop by their location at 2945 Randolph Ave Unit A Costa Mesa CA 92626 or call 888-680-0060.